“I knew you would make it a gorgeous day. You are creative, talented and a wonderful person”......Kathy S.
Jill exceeded our expectations and went above and beyond, right from the beginning. We were planning our wedding from Canada when our online floral order could not be processed last minute. We received a highly praised recommendation from our photographer and instantly fell in love with her work. From the start, we were blown away at Jill's promptness, professionalism and talent. She was extremely accommodating with our requests, budget and short timeline. Jill is very intuitive and was able to replicate the style we were looking for. Her taste and attention to detail is exquisite. 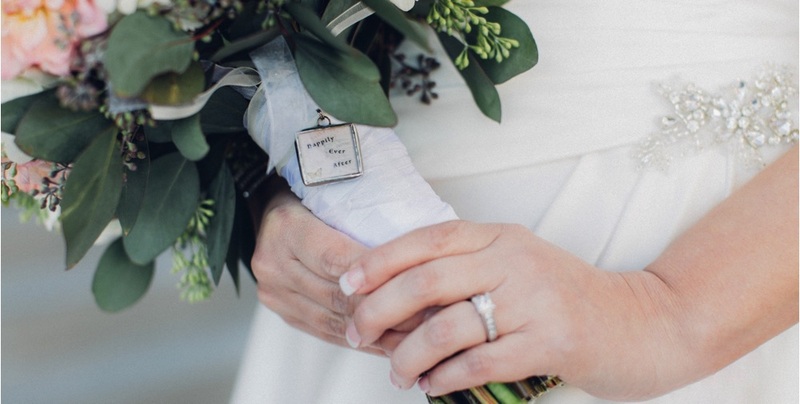 She personalizes her bride's bouquets by adding charm keepsakes to the ribbon. Jill's timing was also impeccable. She delivered just in time to ensure freshness and checked in to make sure our flowers were brought up from concierge. Jill even went out of her way to find Peonies, which at the time, were out of season. Needless to say, we were overjoyed with our flowers and the service we received. Jill's mastery and passion for flowers is quite evident in her work. I highly recommend Jill to any couple looking for fresh, timeless and tastefully arranged flowers. We can't thank you enough Jill, you saved the day! Thank you for all the work that you did in making the flowers for my wedding. They were amazing, gorgeous, beautiful, breathtaking, absolutely perfect!! I can go on and on... 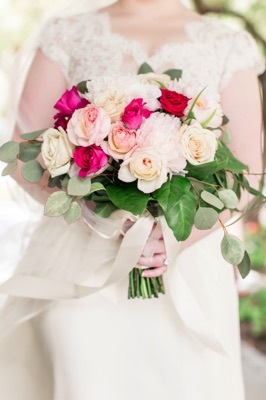 I was blown away with the arrangements they came out exactly how I envisioned it in my head. I am still receiving compliments on the bouquets and the centerpieces, you did a spectacular job Jill. You exceeded all my expectations, I loved that you added little trinkets to my bouquet, :-) I will have them to keep for memories, thank you. It was great having a florist that I could put my full trust and faith in (design/delivery/set up) and be absolutely satisfied. I just can't thank you enough for the amazing things you did, you were wonderful and easy to work with. I am forever grateful for your hard work and wonderful talent, and I will be sure to recommend I Do Wedding Flowers to future brides. Your marriage proposal was undoubtedly memorable for what is was or wasn’t. Make sure your flowers are unforgettable for what they are.